Grade 304 Stainless Steel sheet is a popular and versatile cold rolled product that is available in a choice of surface finishes. 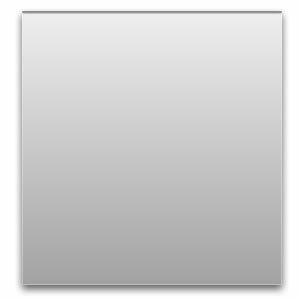 On this page, we will be looking at Grade 304, Bright Annealed Stainless Steel Sheet otherwise known as BA. Bright Annealing is a heat treatment during which the oxygen is removed from the atmosphere, either by creating a vacuum, alternatively by displacement as a result of the addition of dry hydrogen or argon. The result is a fantastic decorative bright, shiny, reflective, mirror like finish on both sides of the sheet. If required, this can then be buffed to produce an even better and more reflective finish. Grade 304 bright stainless steel sheet is suitable for bending – should you require your stainless steel sheet folding then please contact us for a quote. Although the Bright Annealed finish is not quite as perfect and reflective as mirror polished stainless steel sheet, it is very close and is an excellent cost effective alternative. Another advantage of Bright Annealed Stainless Steel sheet against Mirror Polished Stainless Steel is that as with any kind of polish, a mirror polish will be removed when scratched – but because Bright Annealing is a heat treatment, the material is shiny all of the way through the thickness of the sheet and therefore will still remain bright if scratched. All of our Bright Annealed Stainless Sheet comes with a protective PVC coating on one side of the sheet to help protect is smooth, bright & shiny finish during the cutting process. Once your sheet has been delivered and your project is complete, simply peel off the PVC coating, and you will be left with a blemish free shiny surface. Being manufactured in grade 304 means that our bright annealed stainless steel sheet is extremely anti corrosive and therefore is suitable for outdoor use as well as indoor applications where it will be in contact with water or where there is a lot of moisture, for example steam, in the atmosphere. Cheaper grades of stainless steel sheet such as grade 430, contain a lower percentage of chromium in their composition, and therefore whilst performing ok initially these lower grades will corrode / rust over time. For this reason, Grade 304 Stainless Sheet is often the preferred choice for people who are wanting to make stylish modifications to trucks, cars & motorbikes. A perfect example of this is www.smiffysbits.co.uk where owner Mark manufactures a huge range of customised Shiny Stainless Steel parts and accessories for the classic Mini. Whether you are looking for Stainless Steel Cill Protector Plates, a Stainless Steel Fuse Box Cover or a Stainless Steel Radiator Cover, you can order them all online, and very nice they are too! Bright Annealed Stainless Steel sheet is also often used in the manufacture of catering equipment, storage tanks, at MOT test centres (used as mirrors for checking the operation of headlights whilst the technician remains in the vehicle), for decorative cladding, and on trade counters & work benches. Being an austenitic stainless, grade 304 Stainless Steel is non magnetic – meaning it will not hold a magnet. We stock Bright Annealed Stainless Steel sheet in a choice of 3 different thicknesses – 0.9mm, 1.2mm, 1.5mm and you can buy each thickness cut to the size that you require, delivered quickly right here.